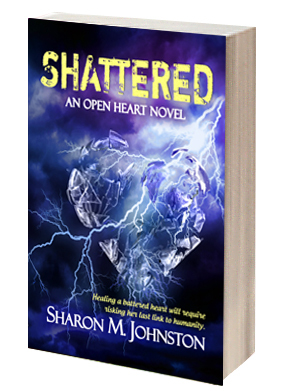 SHATTERED: An Open Heart Novel Book 2 Healing a battered heart will risk her last link to humanity Mishca needs to save her sisters, but only Ryder can save her. The truth about Mishca’s past shattered her heart. She deals with the pain by focusing on a new mission: saving her newfound family from their creator. With her sisters scheduled for termination, Mishca and her friends set out on a journey up the North Queensland Coast to save them before someone else dies. Ryder understands the need driving Mischa. It’s in her DNA. But he’s not giving up on the chance they can still be together. She’s the only one to have seen him levitate. The only one to watch the sparks dance across his skin. The only one he trusts enough to know what is in his heart. And now, he might be the only one who can stop Mishca from losing her humanity. Driven apart by secrets, will they come together in time? 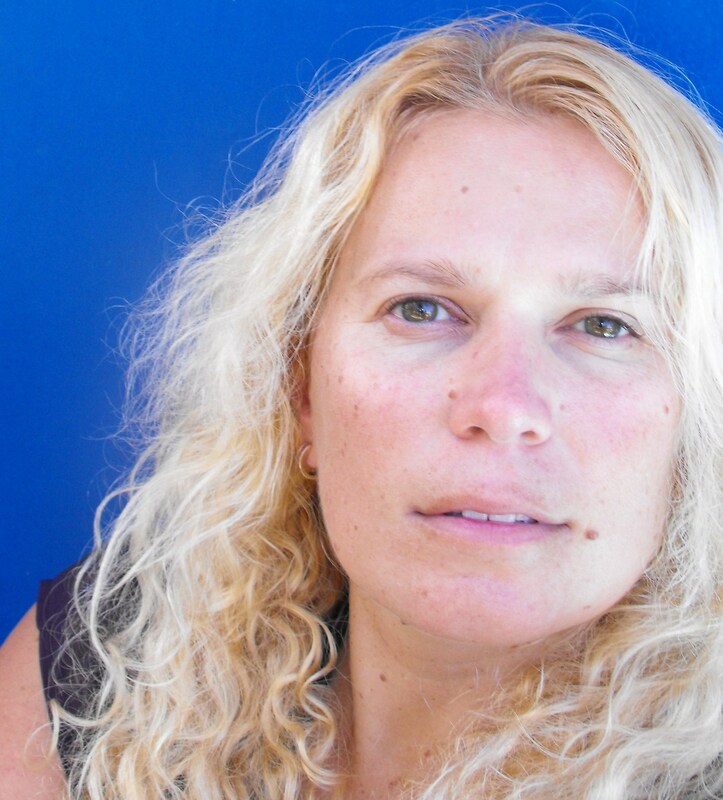 YA & NA author, Sharon M. Johnston, hails from sunny Queensland, Australia. When she's not writing, Sharon works in PR, spends time with her family, and plays far too much Pokemon Go. You can find her on Twitter, Facebook, and on her website. 1. You write YA and NA, and you mentioned in a blog post you “love championing New Adult.” What attracts you to these categories? Often readers like to ‘read up’ – check out protagonists that are just that little bit older than them. Part of this is readers informing themselves on the next stage of life. To me, there was a gap in the market that NA can fill. But it’s important that there’s variety in the category. I hadn’t actually even heard of NA when I wrote the first draft of DIVIDED: Open Heart Novel Book 1, but it fits in the category perfectly, and offers reader something different with the SciFi/Fantasy twist. 2. What is your favorite part about being a Pitch Wars mentor? What is the most difficult aspect of a mentor-mentee relationship? I love reading the entries, and going ‘Wow, can the writer pull this off?’ and then reading that they can! I love working with writers, pushing them to take their manuscript to the next level. The most difficult part would be falling in love with a concept, but the prose doesn’t match, and having to pass, or falling in like with a writer on twitter and then not picking them as my mentor. Pitch Wars peeps are just so nice. 3. When you became a published author, what kind of impact did it have on your life? Because I write part time, a lot is business as usual, but it’s opened up opportunities as well. I’d never been out of Australia until I went to Las Vegas for Romantic Times where I was part of the Pitch Wars Roadshow. But the biggest impact has been the bigger opportunity to share my stories with other people. 4. Are you a “disciplined” writer? Do you write daily? What kind of surroundings are the best to boost your creativity? I’m not very disciplined, but I’m trying to work on that by doing something in my writing world every day, whether it’s writing, editing or working on a special project like Literary Love for Louisiana. I also recently participating in a plotting webinar so I can try to shed my pantser ways and be more disciplined with my craft. 5. You design beautiful bookmarks and earrings. Did you come up with the style immediately, or did you try several different ideas? I’m a very spontaneous person. I’ll sit down with all my beads and charms in front of me and simply put together whatever catches my eye. 6. What’s your favorite Mexican Dish? I love Fajitas. I make them basically every week for the family. But when I was in Vegas I fell in love with Trash Can Nachos! 7. How would you name a unicorn? Every time I name one of my pets, it either comes to me straight away or I notice something about their personality. Like my Ragdoll x Chinchilla is called Dash because he regularly races us down the hall. It would be the same for a unicorn, I’d match something to the personality. 8. Why do you love socks? I have O.C.D. and one of my compulsions is collecting stuff. And one of the things I like to collect is socks. There are just so many cute designs out there. But another thing is they’ve become part of my branding as an author. At Romantic Times I was the Aussie with the pink hair and cute socks. 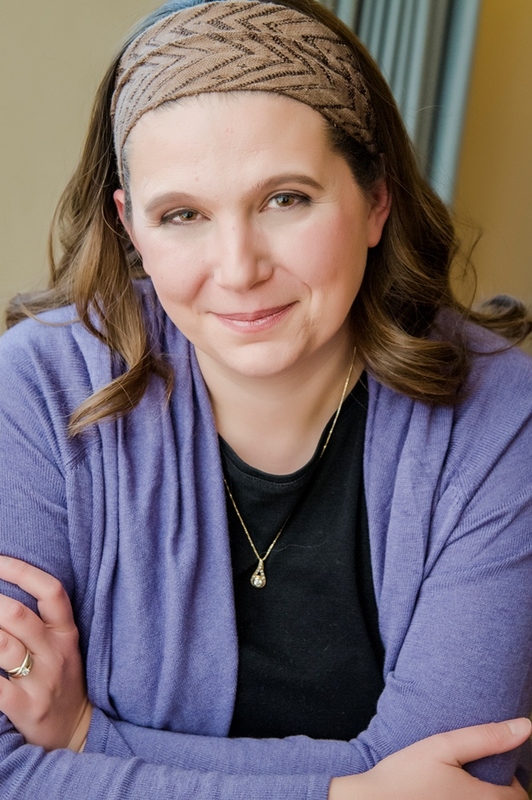 Debut author Miriam Greystone writes urban fantasy stories filled with magic, romance, and the occasional centaur. She fuels her creativity with an insatiable appetite for reading and frequent episodes of Doctor Who. She lives just outside Washington DC with her husband and children, and when she isn't hunched over her laptop, she can often be found baking or going on long hikes with her family. 1. What is the most exciting thing for you about being a published author? I really love my characters – they’re like friends and family to me. I care about them, and I want them to get a chance to share their stories with others. The most exciting thing for me about finally actually being published is excited by the idea that there might be other people out there who can relate to these people who have become so real and important to me. That readers might empathize with them, find inspiration through them, or see themselves reflected through the struggles and triumphs of these characters. 2. What was the most challenging thing about writing TRUTHSIGHT? When I first started on Truthsight, I planned for there to be a section of the novel where Amy returns to her childhood home. I spent a lot of time on those pages – researching for them, picking an actual town and finding pictures and information about it before I wrote them. I had this idea for a town run and inhabited completely by mages. I had lots of fun ideas about how they ran their community, supported themselves and, most importantly, kept their existence a secret. Eventually though, I realized that the storyline didn’t fit into the novel. It slowed the pacing down too much, and there were other ways for me to move the plot forward. But it was super hard to let go of that section. Once I did, though, the plot flowed and the pacing was better, and writing the novel went faster and more smoothly after that. 3. Who did you trust to read your first draft? I am very lucky to have a wonderful critique group. We’re a small group – there’s only three of us, but we are a great team. I worked with them the whole time I was writing the first draft, often talking through plot points with them when I got stuck, or bringing back the same scene over and over as I went through multiple revisions. They were very patient with me, and I benefited a lot from their guidance and advice! 4. Are you a plotter or pantser? I am pantser, one hundred percent!! The times that I have tried to plot out everything in advance have always lead to disaster. I have abandoned entire books after forcing myself to outline. I find that the more I plan, the more locked in I feel, and the less excitement the writing generates. I much prefer to write it wrong and then revise, because that keeps my excitement going. I admire plotters – but I am definitely not one of them. 5. How different is TRUTHSIGHT’S world from the one we live in? To me, it doesn’t feel that different. Yes, there are centaurs and pixies and humans with the ability to mold reality to their will. But the fundamental elements of the story are ones we can all relate to. Amy is struggling to forgive herself for past mistakes, another character’s relationship with his father with deeply troubled because he has made choices that his father objected to deeply. Ultimately, my goal is to create a world that is fascinating and full of completely new things – while simultaneously feeling completely relatable, and more or less like home. 6. What is your ideal weekend? Hurray – easy question! Cabin camping with my family, someplace that has a lake with a beach and hiking trails that are accessible for my kids. 7. You love baking. 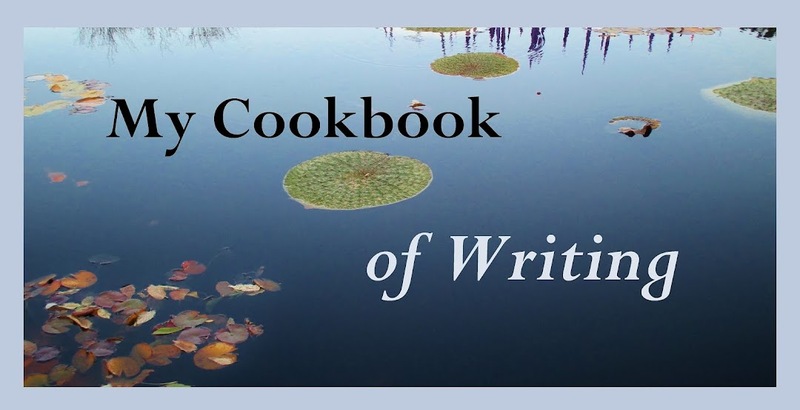 Do you mind conquering elaborate recipes? Do you and your family agree on which dessert you make is the best? My homemade Challah is pretty great, I won’t lie. J And my daughter is an expert Challah braider, and can make really beautiful, elaborate, challah with six braids! But mostly I keep my baking simple. I like to experiment and try to take recipes we all love and make them healthier, or just make things different than they were the last time I made them. My biggest problem is that I seldom write down my innovations, and then I have trouble re-creating it if my family asks me to make the same thing again! 8. I used to live just south of you, less than an hour away, and I miss the Great Falls, Harpers Ferry, Calvert Cliffs…What are your favorite places to visit in the area? We also love great falls – it is an amazing place for bird watching! The National Arboretum is also beautiful, and one of my favorite places to go. We also live close to Rock Creek Park, which is great, and we end up at Sligo Creek all the time! 9. If you could spend this afternoon anywhere in the world, where would it be? I’m not supposed to say at home in my pajamas, right? I’ve always wanted to visit the Amazon rain forest. I guess if I could go anywhere for just one afternoon, I’d want to go there! 10. If you were offered to witness a supernatural manifestation, travel back in time, or take a ride in a UFO, what would you choose? Great question! Supernatural manifestation, of course! I do write fantasy, after all. 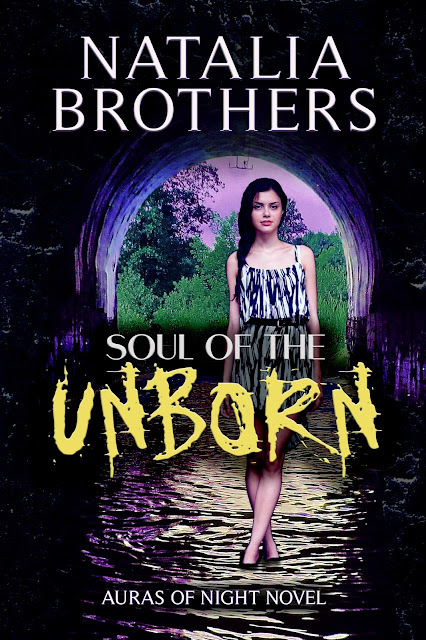 Doctor Amy spends her nights running a secret clinic for supernatural creatures. When she is forced to use her magic to save the lives of a centaur infant and its mother, she vows never to regret her decision, no matter what the consequences. Not even when the Mages capture her, beat her, and condemn her to die. Before the sentence can be carried out, she is abducted by a mysterious being named Rowan, who demands that she use her healing abilities to save his father. When Amy fails to save the ailing man, her actions unintentionally force Rowan into an exile that will soon turn into a death sentence. Now, Rowan and Amy must join forces with the creatures who were once her patients and fight to uncover the one secret that may be powerful enough to save them all.